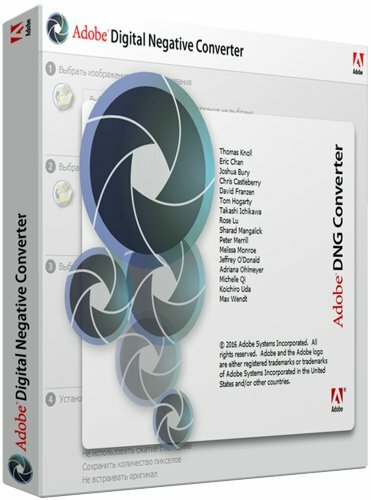 Adobe Dng Converter v9.6.1.631 | Free eBooks Download - EBOOKEE! Posted on 2016-07-28, by manhneovn. Adobe DNG Converter is a lightweight application built specifically for helping users convert camera raw image files to DNG file format (Digital Negative), which is a lossless raw image format designed by Adobe for digital photography. The tool sports a clean and straightforward interface that allows users to perform most operations with just a few clicks. Plus, thanks to its step-by-step approach, even rookies can master the process with minimum effort. Adobe DNG Converter gives you the possibility to upload an entire directory to the list, and you can also make the program include photos that are stored within subfolders and skip source image if the file already exists. What's more, you can select the location where the converted files are stored, preserve the subfolders structure, select a name for the converted images, and configure the preferences settings in terms of compatibility mode, compression, and original raw file embedding options. No comments for "Adobe Dng Converter v9.6.1.631".